Season 7 of AMC’s The Walking Dead had hits and misses especially with the sheer amount of bottle episodes after the season 7 premiere that turned a number of viewers away. I did not turn away however since i am a fan of the series whether if there is a good episode or not. Season 8 corrected most of the mistakes that season 7 had with a great story with very shocking moments with a great conclusion at the end. Here is my review of AMC’s The Walking Dead season 8. Season 8 uses material from the comic series of the same name and it covered the All Out War arc from that series. If you would like to read the comic series’ story line that matched the episodes of this season, i would suggest to pick up issues #115-#126. 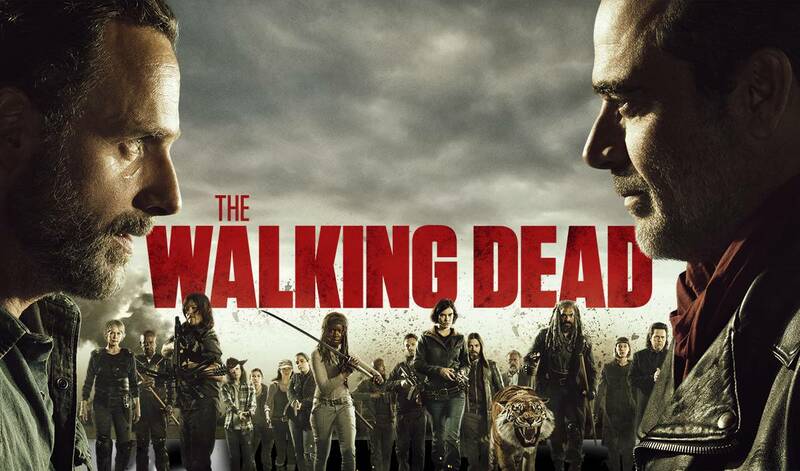 The three communities of Alexandria lead by Rick Grimes, Hilltop led by Maggie Rhee and The Kingdom led by Ezekiel join together to go to war with Negan and The Saviors. The other communities of The Junkyard and The Oceanside played their parts of the war as well. The first battle happened at The Sanctuary as the three units attacked the place and at the same time, navigated zombies to The Sanctuary. While Negan and his group were stuck there, Rick and gang attacked the other outposts that Dwight told them about. During these outposts attacks, Rick met Morales (who has been missing since season 1) and to find out that he is not part of The Saviors, Ezekiel’s tiger Shiva dies, Aaron’s partner Eric dies, and soldiers from each community dies during the attacks. Jesus also convinced everyone to not kill the members who are prisoners or surrendered as other characters debated on why he made this decision. During this time also, Carl Grimes meets a new character named Siddiq as he ran into him twice this season. 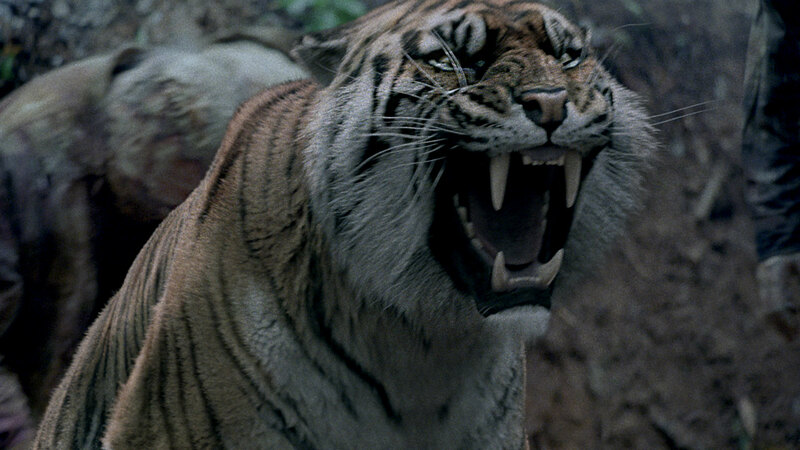 Rick was also captured by Jadis and then set free after he convinced her to join the battle with the gang. While this is happening, Eugene who has been on Negan’s side since season 7 made a plan to clear all of the zombies that flooded into The Sanctuary and Negan then plans to attack Alexandria and The Kingdom. 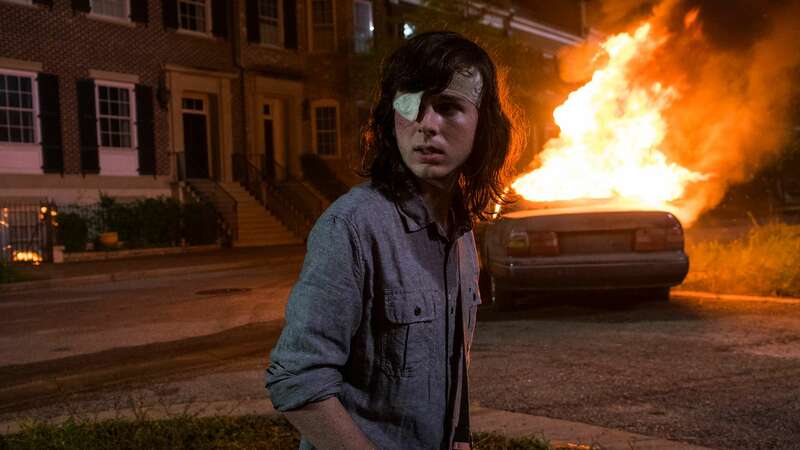 The attack on The Kingdom failed as Gavin was killed during the attempted attack, but the bombing of Alexandria happened as Carl tried to sacrifice himself to not only prevent the attack, but to stall Negan as the people of Alexandria secretly leave. 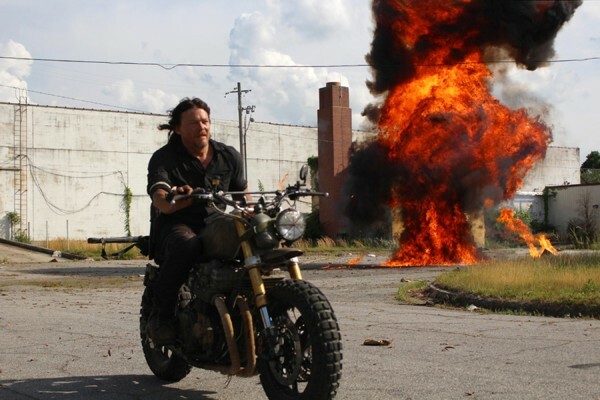 Houses were exploded along with cars as Rick and Negan had their first fight. As Negan escaped, Rick finds everyone in the sewers and the big reveal down there was that Carl was bitten. Carl says his goodbyes to everyone and wrote everyone letters (including Negan) along with telling his dad Rick about the visions of the future (those visions of the future is what happens after the time skip after All Out War ends). 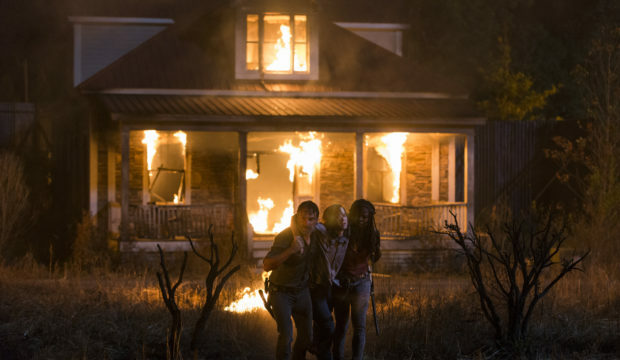 The rest of the war involved the infected weapons attack at The Hilltop, Tara wanting to kill Dwight for killing Denise back in season 6 and the deeper conflict between Rick and Negan. Carl’s death affected everyone no matter which side is good or bad. Carl wanted them both to end the war and Negan and Rick were still bloodthirsty to try to kill each other. The final battle took place in an open area as all of the guns of The Saviors deflected thanks to Eugene secretly plotting against Negan (the trick he did goes back to the Vietnam War). 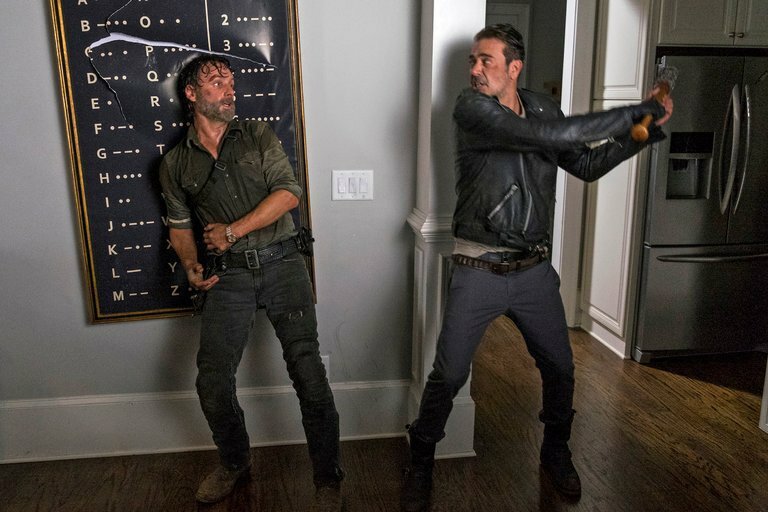 Rick and Negan had their final fight as Rick cut Negan’s throat with a broken glass. As Negan falls, Rick told Siddiq to save his life as Maggie screamed out in anger to kill him. Negan lives but Rick will put him in the cell that Morgan built back in season 6. Speaking of Morgan, he went back and forth with his emotional state to whether if killing was worth it or not. He is off now to the spinoff show Fear The Walking Dead. Overall, i loved this season. I loved season 7 as well, but this season did not have filler or bottle episodes that took away from the main plot. Scott Gimple said that this season will not have bottle episodes and that actually came out true. The most controversial death of all time in this show will have to go to Carl Grimes and that is a decision i will never agree with. But his death actually did bridge in the gap between the final battle that he [Gimple] thought had a gap in the comic series. There was behind the scenes drama also especially when the actor died on set during the filming of one of their episodes and much more. Despite having a decline in the ratings, The show still pulls in an average of 6 plus million viewers a week and is still the number 1 show on Sundays. Season 9 will have a new show runner and i believe we will finally get The Whisperers in that season. Who will play as Alpha and Beta boggles me but we will have to see once it premieres. The acting is very phenominal. Jeffrey Dean Morgan knocks it right out of the park with his role as Negan and Andrew Lincoln, Danai Gurria, Lennie James, Austin Amellio, Steven Ogg and Melissa McBribe stole the show this year in my opinion with an honorable mention to Chandler Riggs as both the 8th and 9th episodes of this season were his best performances since season 4, episode 9. I was invited to cover The Walking Dead press conference right before the panel started at New York Comic Con and i had a blast. The talent that were at the conference were Andrew Lincoln, Robert Kirkman, Greg Nicotero, Jeffrey Dean Morgan, Austin Amellio, Norman Reedus, Tom Pane and much more. They all took turns answering questions and talking about how great it felt that the show has made it to 100 episodes. 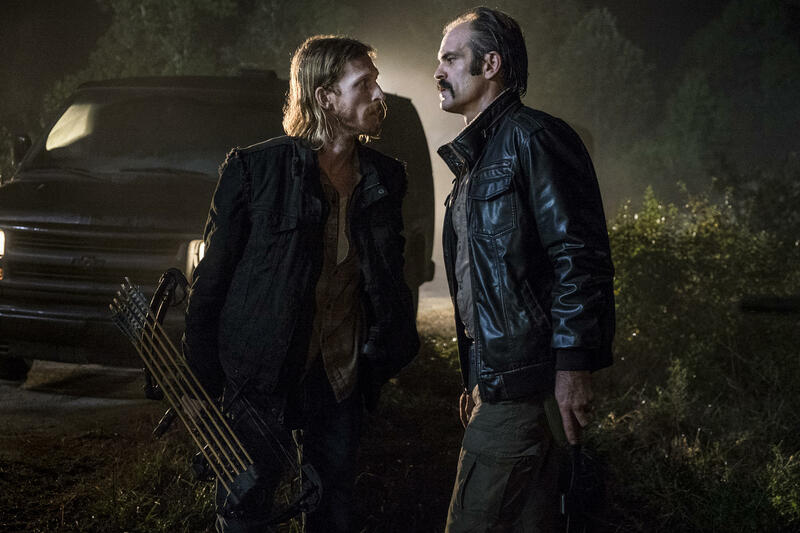 Austin Amellio and Norman Reedus also gave a slight glimpse on what to expect between their characters (Dwight and Daryl Dixon) in season 8 of the show. Jeffrey Dean Morgan also reacts to the death of Lucielle during The Whisperer War last year since it was one year ago this week that it has happened in the comic series. Andrew Lincoln also talks about “Old Man Rick” as it was seen in the trailer that was released back in San Diego Comic Con and how he feels about the future of the series. Greg Nicotero talks about his passion of directing the show from when he started to now along with the character development of select characters and he is very excited for the upcoming season.